Since this was my first sea day in almost a week, I did not have a “habit” of what to do – like I had on other cruises. But, I easily got into the pace of reading, sitting in the Solarium, and just relaxing. Of course, on the ship there are always activities galore. But the real highlight of the day happened at the dawning of our next day – literally at midnight. 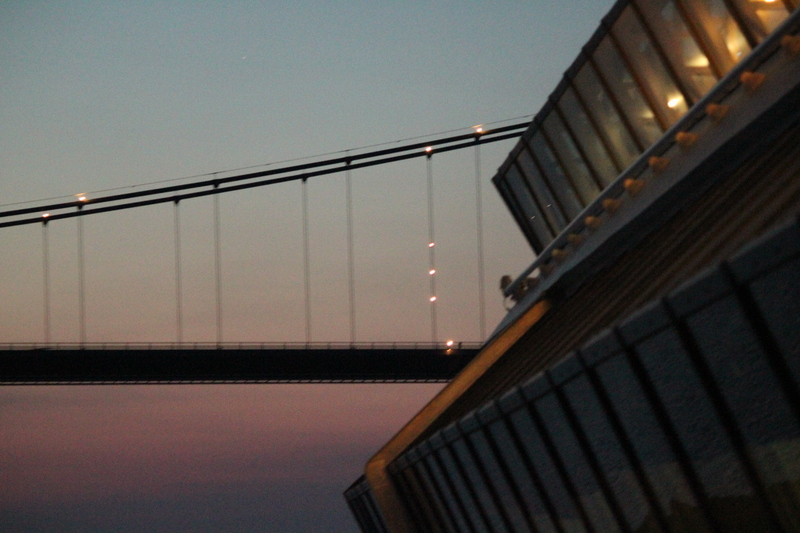 The sky still held traces of the sunset and our ship was passing under the Ostbroen bridge that spans the Baltic Sea and connects Denmark to Sweden. 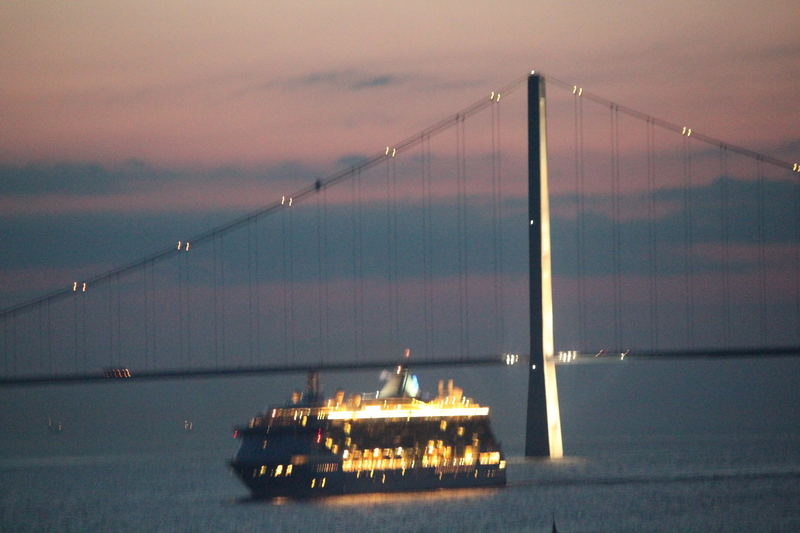 So, at midnight, I was out on the top deck in a dress that I finally had to tie the skirt so it would not blow up around me taking pictures of the bridge. Pretty cool! 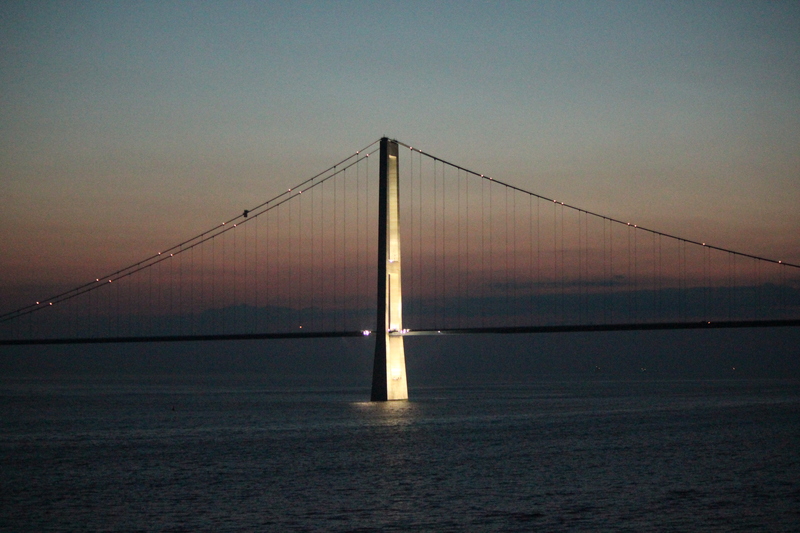 This really is the Ostbroen Bridge between Denmark and Sweden — and the pictures were taken after midnight. I lived in the Bay Area for a while and there is no way for it to ever be that light out at midnight! I’ve sailed under the Golden Gate Bridge as well, but in a small boat to go whale watching. It was a very different experience and it never looked like we would not make it under the bridge!